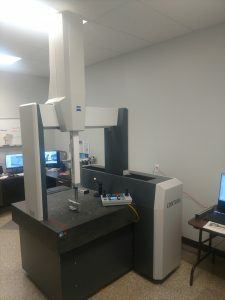 Zeiss Contura CMM - M&S Precision Machine Co.
We have added a new Zeiss Contura CMM to our facility. The project took approximately 6 weeks from the start of construction till the final installation of the CMM. With the addition of this machine it will help in the manufacture of higher quality, more consistent parts.